Young Gifted and Black: Congrats Pharrell! Receives Oscar Nod for Best Original Song-"Happy"
Congrats Pharrell! Receives Oscar Nod for Best Original Song-"Happy"
Pharrell Williams can now add Academy Award nominee to his resume. The member of The Neptunes and N.E.R.D. picked up a “Best Original Song” Oscar nod for his song “Happy” from Despicable Me 2. The category also includes “Alone Yet Not Alone” (Alone Not Yet Alone), “Let It Go” (Frozen), “The Moon Song” (HER), and “Ordinary Love” (Mandela: A Long Walk To Freedom). Pharrell has already won Grammy awards for his work with The Neptunes, Justin Timberlake, and Ludacris, but this is the performer/producer’s first Oscar nomination. If Pharrell wins the award it would put him in rare company. Eminem and Three 6 Mafia are the only Hip Hop acts that have won an Academy Award. 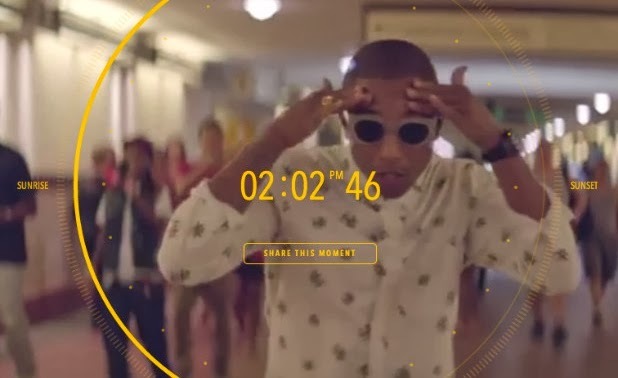 "Happy" is the first 24 hour Interactive Video., Pharrell tapped notable actors/artists such as Jamie Foxx and Tyler the Creator for cameos in the video. Check it Out! Love this song...Feeling down in the dumps....throw this on., Promise it will pick you up!